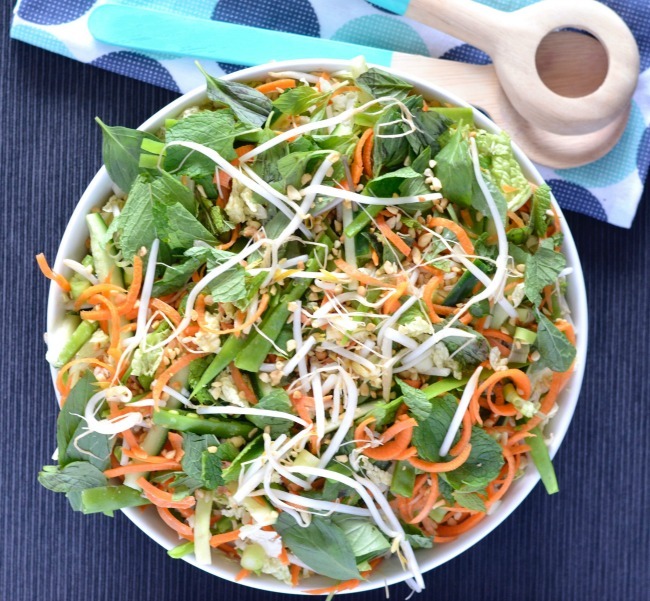 Most of you would know my love of crunchy textures in my salads and this crunchy asian rice salad is the perfect example! 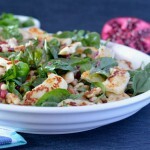 It’s full of delicious flavours, topped with fresh herbs and a tasty sesame dressing. The brown rice base ensures it fills you right up as well, making it a perfect lunchtime dish! 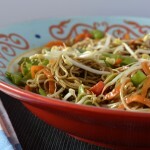 I slightly adapted the recipe from one in the Women’s Weekly Fast Fresh Vegetarian cookbook. 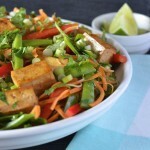 I love how light and fresh this salad is, and if you wanted it as part of your dinner meal it would be delicious with some baked tofu on the side. It most definitely brings the crunch factor! 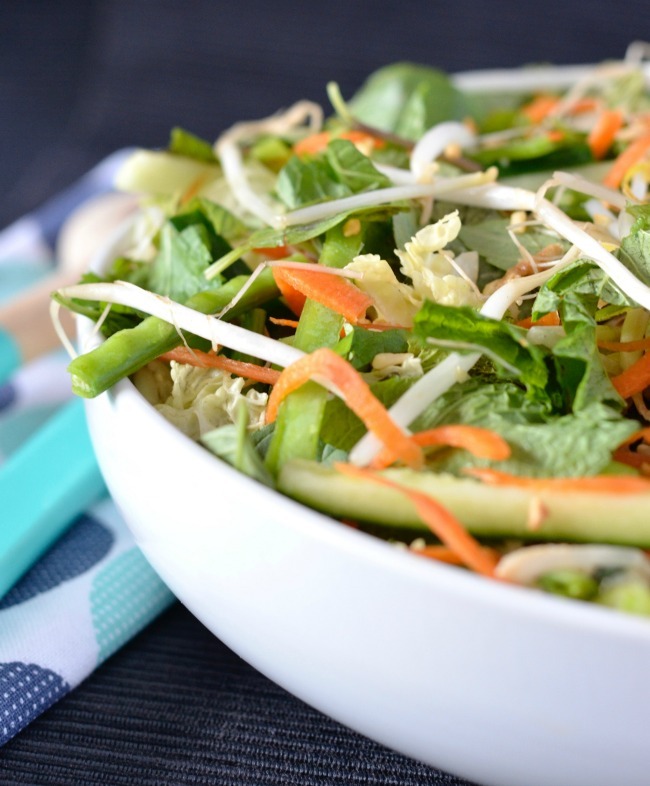 The best part is this salad is ready in just as long as it takes to cook the rice, making it a perfect mid week meal option, or a quick weekend lunch. Perfect! What have you been cooking lately? 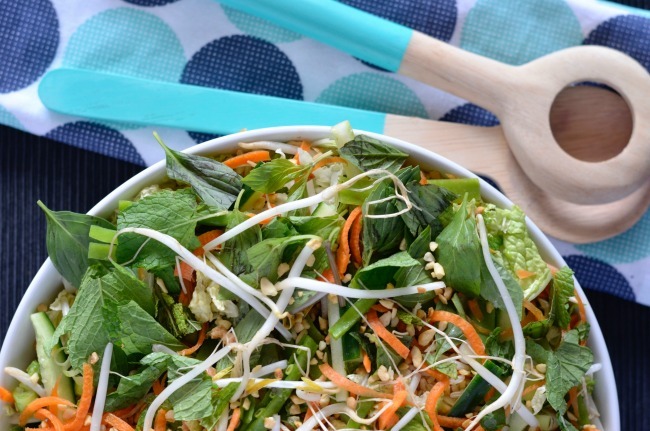 Fancy trying this crunchy asian rice salad? that’s a great salad thanks liz!